OAKLAND, Calif. (KGO) -- Kids cooked up change in Oakland Wednesday, and the effort really paid off for two young chefs. 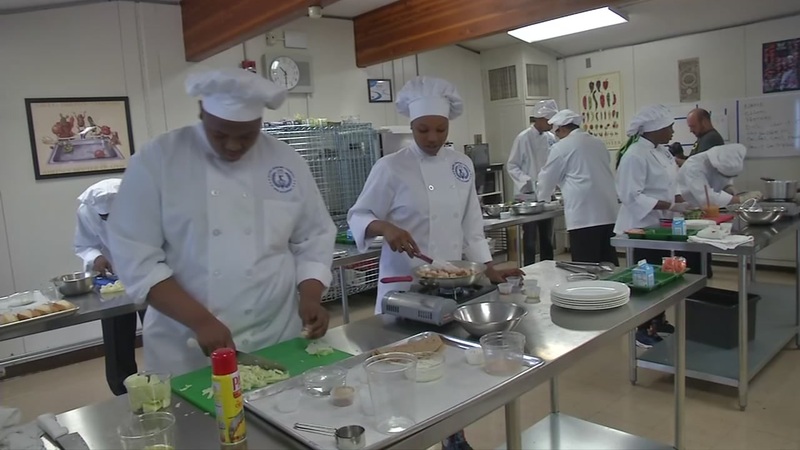 Students in the culinary arts program at Ralph Bunche Academy in West Oakland competed in a healthy cooking competition. The challenge was to create a school lunch that's healthy, easy to make and costs less than $25. Jimmy Saliphan and Jayne Poindexyter came out on top with their Thai chicken rolls -- and see a big chance to promote healthy eating habits. "We're like the generation that starts something new and finishes something strong," said Poindexter. "So this could be one of the things that starts something new." The two chefs are heading to Washington in June for the national Cooking Up Change competition.